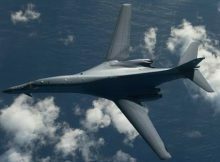 For the first time since Donald Trump’s inauguration as U.S President, the United States military conducted airstrikes in Libya on Friday night, the Pentagon announced Saturday. The number of ISIS terrorists and their cells within Libya had reduced significantly during the last two years following constant US military intervention in the area, but the last few months, terrorists had started having meetings and forming aggregates as a result of the Libyan government’s instability. “The camp was used by ISIS to move fighters in and out of the country; stockpile weapons and equipment; and to plot and conduct attacks, ISIS operatives in Libya have been connected to multiple attacks across Europe.” The US Africa Command said in a later statement. READ ALSO : Traditionalist gets blasted for sharing photos of items for his sacrifice and denouncing 'Jesus Christ' on Facebook. “The United States will track and hunt these terrorists, degrade their capabilities and disrupt their planning and operations by all appropriate, lawful, and proportional means, including precision strikes,” Africa Command’s later statement added.